What is the impact of having so many connected, IoT devices in a city? How aware are we as a society when it comes to infrastructure threats? Are we prepared and equipped to deal with threats to our basic cyber infrastructures? And how can we attain a balance between security and privacy while maintaining the quality of our human life? Listen as Manuela Krull, a Digital transformation expert and Managing Director of the Startupbootcamp Amsterdam Smart City & IoT Program, Ronald Kingma, founding partner of Access42 and Ara Ghazaryan, Develandoo’s Senior Data Scientist and co-founder of Scylla discuss their expert opinions and perspectives in an in-depth conversation to answer these questions that have become increasingly relevant in our world today. Manuela Krull begins the innovation platform discussion by speaking about the necessity of discussing these exact questions and the importance of listening to the experts and their perspectives on possible solutions. ‘’Why are we talking so much about smart city these days? Well, we all know that our cities have become more and more crowded since the invention of the steam engine 300 years ago. We call it the first industrial revolution….So now we have come to a situation where almost 50 percent of the world population is living in urban regions. As an example, this used to be 2 percent before the invention of the steam engine. So it’s now 50 percent of the world population living on the same square meters. And this percentage is only growing so that’s why we have to think about smart city issues’’. Ara Ghazaryan agrees cities are ever growing and overpopulation in some cases is a major issue. Providing security to the population is a key task for municipalities and ] private sectors. Ghazaryan states, one of the ways to address this issue is, of course, investing in security systems. He specifically highlights the importance of smart security system investing, because just putting a thousand security cameras up for a human to monitor is not effective and is not going to bring the desired result. ‘’First of all, it’s also a matter of scalability. A thousand cameras mean almost a thousand people watching after them, and also it’s a matter of security privacy too. Not everyone wants to be watched constantly and there are areas that are generally like non-secure in that respect. 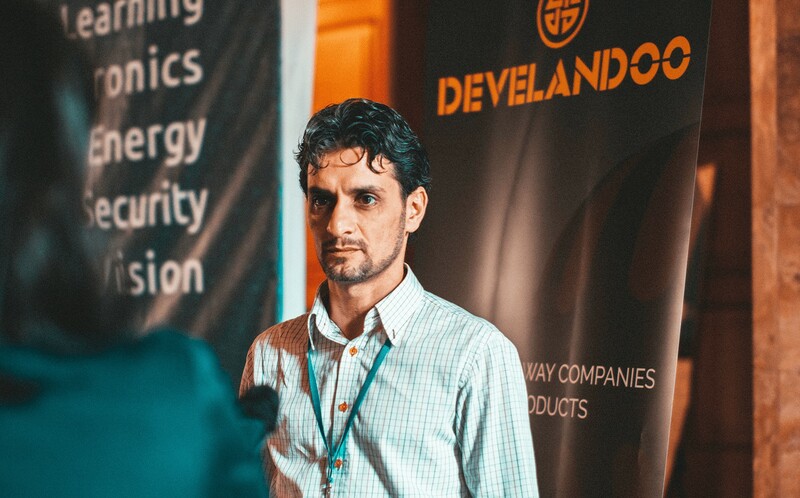 The company that I am right now working on, the product the solution we’re working on is exactly trying to address this issue’’ says Ghazaryan. Both Krull and Ghazaryan speak to an important question, “Can’t a security camera be hacked,” and although all technology is subject to vulnerabilities, Ara speaks towards how Scylla‘s researchers and developers are addressing these very security risks. ‘’We are aware of these threats and we design our software in that respect. Cybersecurity is in one of the top priorities we have. Our CEO, Albert Stepanyan is a cybersecurity specialist himself’’ states Co-founder of Scylla. Ghazaryan further highlights why using the above-mentioned smart security system can be more secure and more scalable than having humans eyes watching all security screens at all times. Being watched by a human means they have your information which can be used or forwarded, whereas surveillance by artificial intelligence removes human error and/or malice. ‘’It doesn’t gather information, but analyzes it and gives alerts only to the police department or relevant structures and only in that respect, they get the information’’. ‘’Not increasing the number of surveillance but increasing it in a smart way, augmented and AI controlled’’ That’s the idea which lies at the core of this innovative system. Below you can find the full version of the podcast. Enjoy as our experts take a deep dive into smart security systems and how it is affecting and improving the security of our world today.